CarRental, rental of scooters and bicycles at accessible locations throughout the island, with on-line booking available. You can also call us at (+30) 693 6691543! Reliable vehicles, new models and additional benefits. 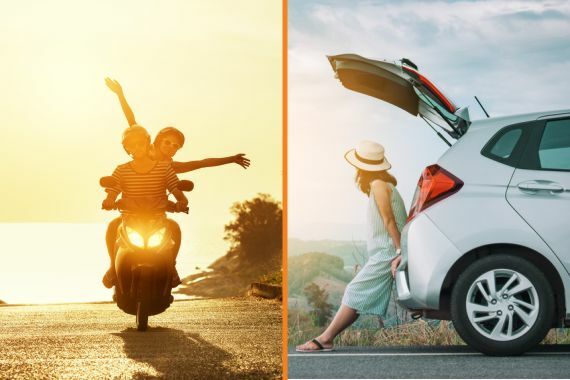 For visitors to Syros who have arrived without a vehicle, Maistrali Group provides the most reliable cars for rent through their subsidiary company Maistrali CarRental. Servicing customers from 1998, it has developed into a company with efficient service providing reliable vehicles for their clients and pride themselves on their exemplary customer service. 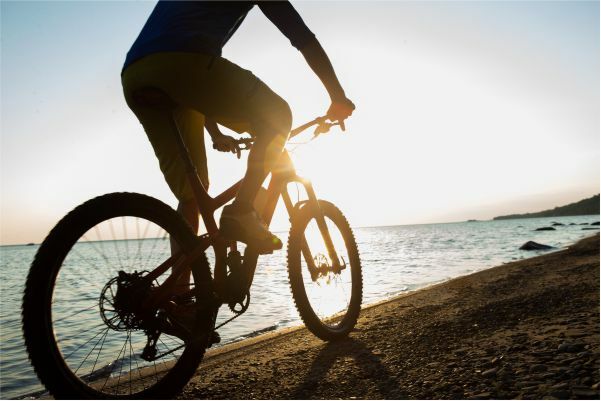 At your service 24/7, we provide rental services of cars, scooters and bicycles at all of our locations in Hermoupolis (at the port next to EKO gas station), at the airport, and at the marina of Finikas Village. On-line booking is also available on our website. With friendly prices and great service from our well trained staff, we are constantly broadening our services acquiring the newest models of automobiles and scooters. Furthermore, our services include monthly rentals and availability of car rentals throughout Greece in association with other well-known car rental agencies. Our goal is continuous improvement of our services and by doing so investing in our clients’ safety and satisfaction. By regularly servicing our vehicles and renewing our fleet and services, we have obtained and maintained the position of the best rental agency of cars and scooters on Syros. With Maistrali Group all your needs are taken care of within one company, offering full service in every domain. You may request a Maistrali quotation and check vehicle availability without making a reservation. Complete only the entry page on your Maistrali website and click on “Select a Vehicle” . If you wish to make a reservation at this time and with these details simply continue by pressing the “Book and Pay Now” button or the “Book and pay at station” Button. You will then have the possibility to receive a quotation by e-mail by clicking on the corresponding icon. Are there any compulsory additional taxes or surcharges? Your Maistrali rental quote takes into account all charges corresponding to your reservation criteria. The list of these charges are printed on the reservation confirmation. The rates are guaranteed for the rental associated to the confirmed booking. Your total rental rate is calculated based on the information provided at time of booking. Quoted total rate will include any extras you select during the booking process. Yes, you can book additional extras online. These items can be requested at time of reservation by clicking on ” + Extras” of the rate quote page. They involve extra cost and are subject to availability. At the end of the reservation process you will receive a “Reservation Confirmation” page with the reservation number highlighted. You will also receive a confirmation e-mail containing the details of your reservation. You should print these and keep them for your records. 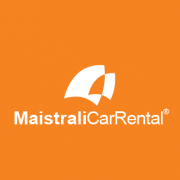 Yes, Maistrali Car Rental, allows you to modify or cancel your reservation online after it is confirmed, provided it is done up to 48 hours prior to rental time. You simply need to click on the “View, modify, cancel your booking”. Please note that you can only modify or cancel the reservations which you made yourself online. Is it possible to Modify/Cancel my prepaid reservation after it is confirmed? Yes, it is possible via the View, modify, cancel your booking function. Fees may apply in certain cases: you will be notified at time of modification/cancellation. The amount initially charged will be refunded on your credit card number if the required notice is given (see Prepayment Terms and Conditions). Please note that you can only modify or cancel the reservations which have been made online by yourself. You will receive a confirmation of amendment or cancellation by e-mail. What are the different types of additional covers available? An excess amount displayed at time of reservation indicates the maximum amount of money you are liable for, that means 700,00euros for all car categories, in the event of damage. The renter/driver is liable for all damages of the vehicle occurring during the course of the rental. This liability can generally be waived against payment of a fixed charge per rental day 12,00euros. It should, however, be noted that for those renters who have purchased such protection, the abovementioned residual non-waivable amount (or “excess”) will be applied in the event of damage of the vehicle. When choosing a vehicle on your booking, you select car category and no car model. Neverthelss, you can apply comments of your booking if you wish to write a specific class model, you prefer and subject to availability of the fleet can be made.